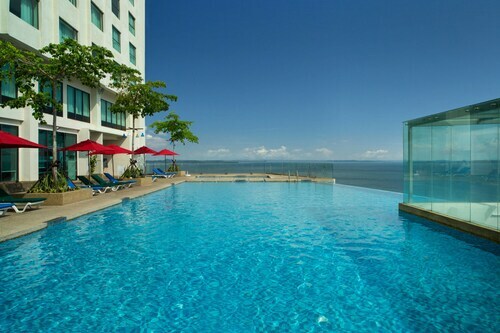 Considered booking a Sandakan holiday package? It's simple with Expedia, and you'll be able to buy a few nice meals or presents for your friends back home with the money you save. Savings of up to 55%* are waiting for savvy travellers who secure a package deal on Expedia. With more than 400 partner airlines and 321,000 properties worldwide for you to choose from on our comprehensive database, you'll be heading off on your next holiday in no time! If you have to change your holiday plans, we will honour your cancellation request on almost all reservations with no hidden fees. There are stacks of exciting things you can do when you're in a new destination. 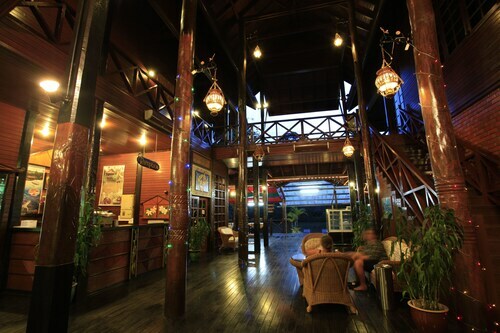 So why not get your trip to Sandakan off to the perfect start by checking out some of our ideas? After all – out there starts here! Get in touch with nature at Rainforest Discovery Centre and see the important work they're doing to protect wildlife in its natural habitat. There's a fabulous range of things to do in this destination. Excited to understand more about wildlife and nature? Book a guided tour at Sepilok Orang Utan Sanctuary and enjoy the chance to see these marvellous creatures up close. Still got time to spare? Constructed to pay homage to the gods, temples offer travellers an interesting glimpse into another religion and culture. Learn about the local faith and wander around the sacred space that is Puu Jih Shih Temple. You don't have to sleep in swanky hotels or fly business class to have a memorable holiday. Simply take advantage of all the fun things you can do while you're there! For more things to do, head to our Sandakan things to do page. With no less than 11 properties located close to the city centre, finding a place to rest your head in Sandakan will be a cinch. Book now via Expedia to get the best deals on luxury getaways and cheap holidays. 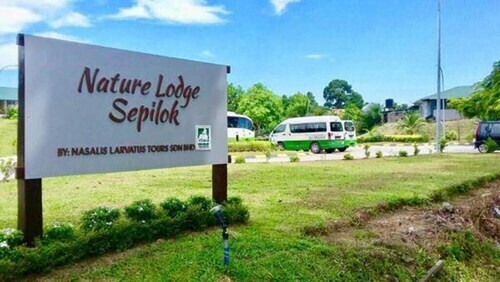 Have a look at the Sepilok Forest Edge Resort (Jalan Rambutan, Sepilok Mile 14) and the Sepilok Nature Resort (KM 22.5 (Mile 14), Jalan Sepilok). These sought-after accommodations not only come with comfy beds — they boast terrific reviews as well! Go through security, board the plane, stow your baggage and settle in for the journey! 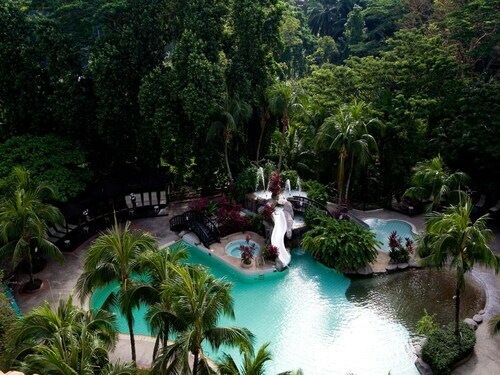 Your well-deserved trip to Sandakan is just a plane ride away. After arriving at Sandakan Airport (SDK), you'll find yourself approximately 6 miles (10 km) from all the main streets. Watch as a community of orphaned orangutans play in the trees above you at this sanctuary. Two daily feeding sessions draw crowds of tourists to watch monkeys as they swing through their natural habitat. 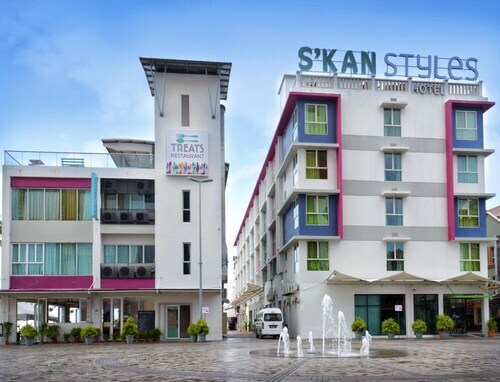 Located in the heart of Sandakan, this hotel is within 1 mile (2 km) of Sandakan Harbour Mall, Saint Michael's and All Angels Church and Agnes Keith House. Puu Jih Shih Temple and Sandakan Rainforest Park are also within 6 miles (10 km). Situated in Sandakan, this hotel is within 1 mile (2 km) of Agnes Keith House, Sandakan Harbour Mall and Saint Michael's and All Angels Church. Puu Jih Shih Temple and Sandakan Rainforest Park are also within 6 miles (10 km). Situated in Sandakan, this hotel is within 1 mi (2 km) of Borneo Sun Bear Conservation Centre and Sepilok Orang Utan Sanctuary. Rainforest Discovery Centre is 0.9 mi (1.5 km) away. Situated by the sea, this hotel is within 1 mile (2 km) of Sandakan Harbour Mall, Saint Michael's and All Angels Church and Agnes Keith House. Puu Jih Shih Temple and Sandakan Rainforest Park are also within 6 miles (10 km). 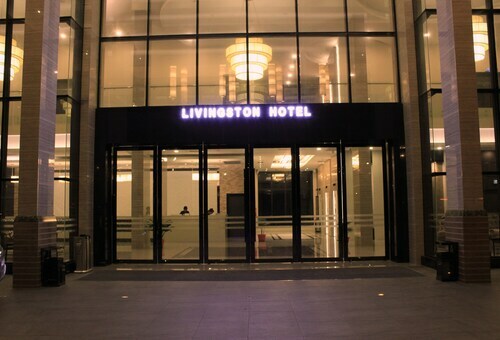 Situated in Sandakan, this hotel is 1.9 mi (3 km) from Sandakan Rainforest Park, and within 6 mi (10 km) of Agnes Keith House and Sandakan Harbour Mall. Sandakan Memorial Park and Puu Jih Shih Temple are also within 6 mi (10 km). 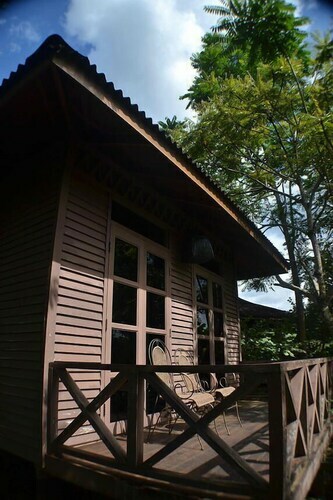 Situated in Sandakan, this lodge is within a 15-minute walk of Rainforest Discovery Centre and Sepilok Orang Utan Sanctuary. 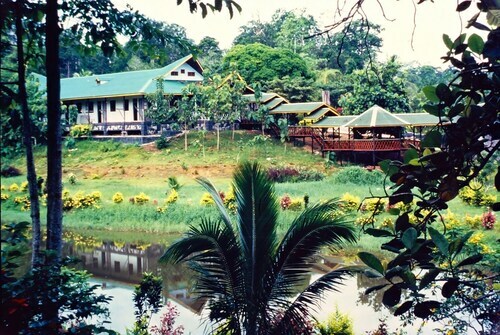 Borneo Sun Bear Conservation Centre is 0.9 mi (1.4 km) away.